Christine was born in Florida and moved to North Carolina about a decade ago. She has always had an interest in working with animals and can’t remember a time where she didn’t have a pet or take home the class pet for the summer. Christine went to North Carolina State University, where she got her degree in animal science and graduated in 2013. 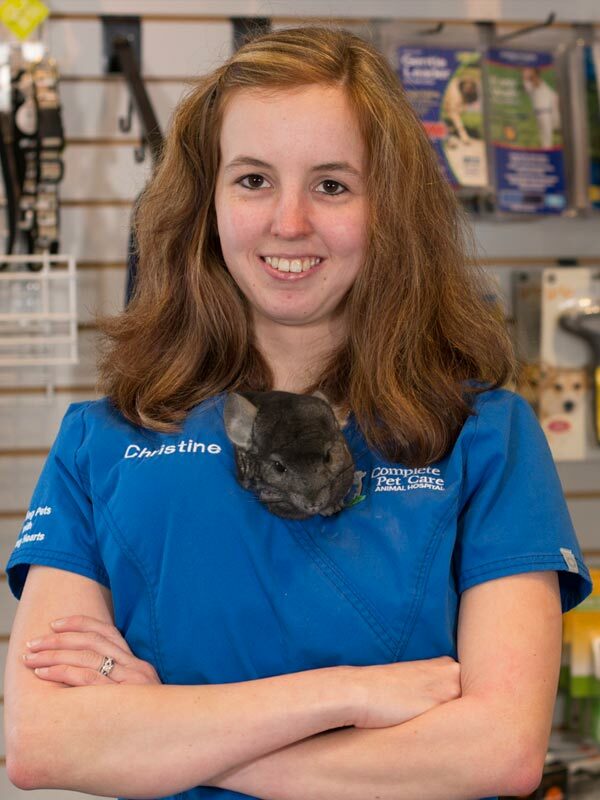 In early 2014, she joined the Complete Pet Care family as an animal care technician. She really enjoys the time she gets to spend with the animals, whether it’s through day care or just spending quiet time with them. She likes hearing from clients that pets get excited to come back. Christine currently enjoys the company of her husband, a playful cat, and an energetic chinchilla. Occasionally, she also helps rehabilitate orphaned and injured wildlife, mostly squirrels and opossums. When she has downtime, Christine and her husband enjoy going on walks and doing puzzles.